Drones:An Overview - McCord Engineering, Inc.
Eric Bitzko guessed it was a new truck or a gun that co­worker Jeff Horton had bought when he got the weekend phone call. Inside the box was a toy of a very different sort: a remote control hobby quadcopter-a drone. “We pretty much spent all afternoon flying it around my house, getting used to the controls and playing with it,” Bitzko says. Yet the Pedernales Electric Cooperative linemen couldn’t help but notice, between backyard aerobatics and near misses, that this device could have work applications. “That’s just a lineman’s mentality,” he says. Those thoughts became plans, and that toy became a tool some months later, in May 2015, when historic flooding forced the Blanco River beyond its banks near Blanco and Wimberley. People were missing, river crossings were destroyed and thousands of Pedernales EC members were without power. The linemen devised a way for the drone to carry string over the river. The string would be attached to ropes, which in turn would be affixed to downed power lines. Once across, the length could be used to restring the lines and restore power. Not long after receiving the call to help with recovery efforts, Bitzko and Horton sent their idea of using a drone to help restore power up the chain of command. Within hours, they had approval from PEC management, as well as county officials and local Federal Aviation Administration contacts. Instead of waiting for waters to recede to attempt risky small-boat crossings on the debris-filled, raging river to repair lines, the pair used Horton’s drone, keeping lives out of harm’s way and restoring power to some 2,000 members in hours instead of days. By the end of the afternoon, crowds had gathered to watch the drone work. 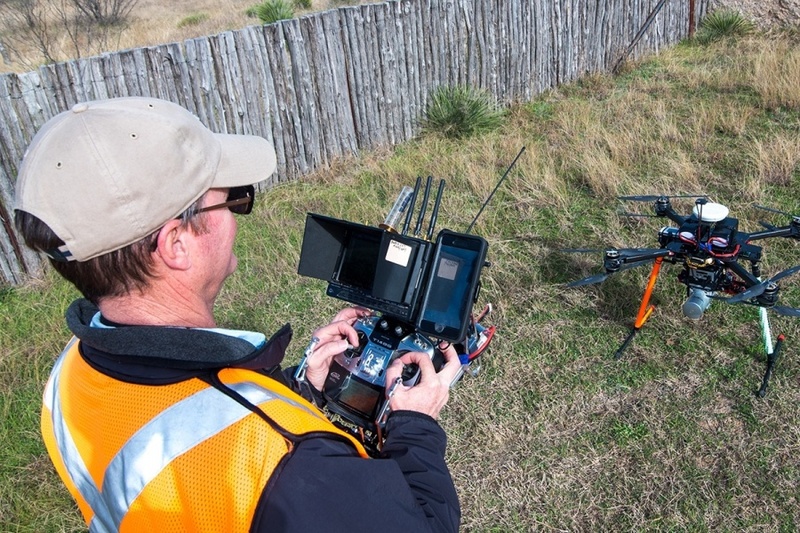 Drones are now working their way into many corners of Texas life. Agriculture, public health and utilities innovators are finding uses for these nimble eyes in the skies that were once the domain only of hobbyists. 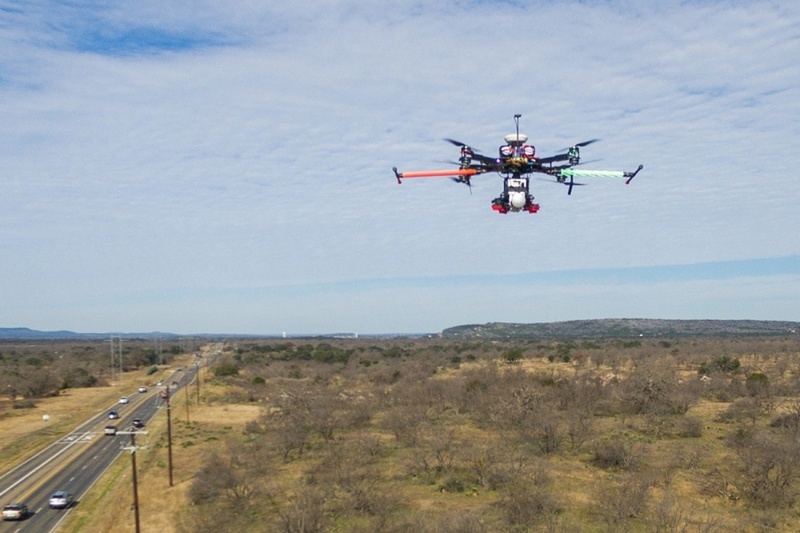 More than a half-million drone pilots now call Texas home – ­second only to California-according to the latest figures from the FAA, which has been tracking drones since 2015. Their aircraft come in many shapes: from more traditional­ looking, fixed-wing craft to hover-capable quadcopters with prices that start in the hundreds but can reach thousands of dollars. Some drones are equipped with cameras or sensors, and others can transport payloads. 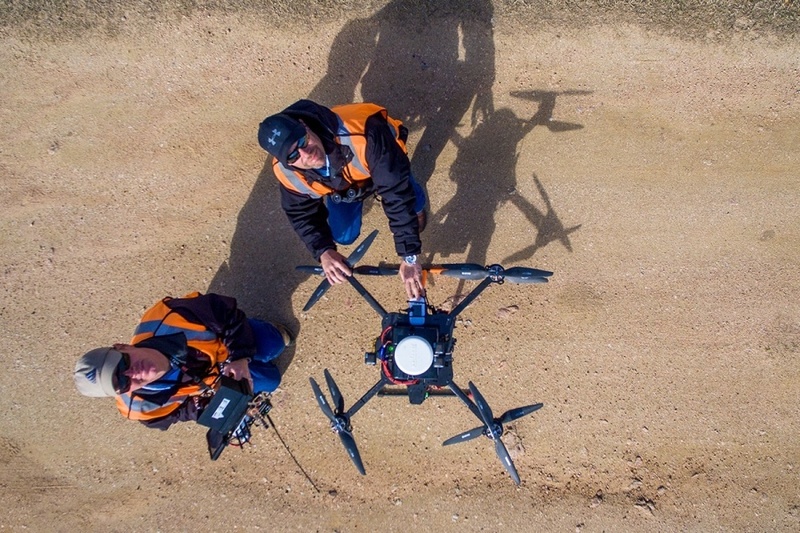 The FAA in August released its rules governing the use of commercial drone operations, opening the doors for drone­based businesses. The agency projected this new industry will include some 600,000 aircraft nationwide by August and become an $82 billion industry employing 100,000 Americans by 2025. 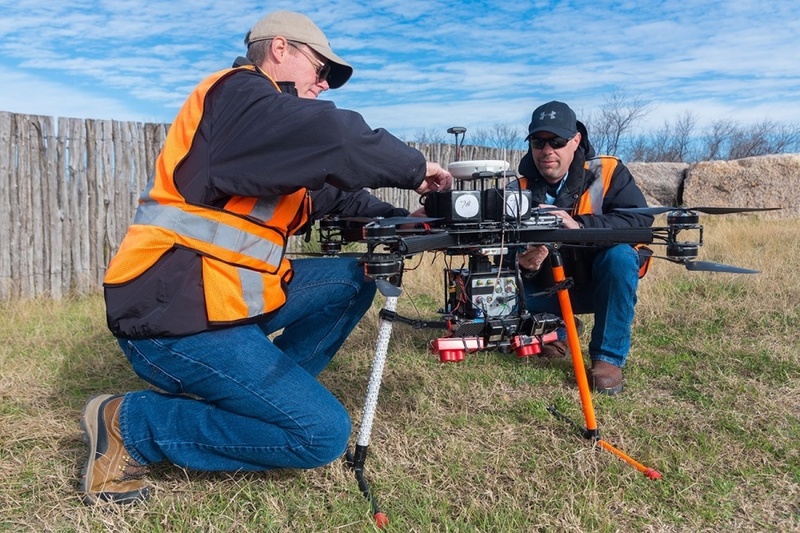 Already, commercial drones are making their mark in Texas. Sitting at his desk at the Texas A&M AgriLife Research and Extension Center in Corpus Christi, Juan Landivar, the director, is preparing a report for the Texas State Support Committee for cotton producers on a system that employs drones to analyze which among 200-300 breeds of cotton cultivars grows best under given conditions. Drones can collect more thorough data from the air more efficiently than a researcher on the ground. The market for agricultural drones is expected to grow to as much as $3.7 billion by 2022, according to a study by Massachusetts-based WinterGreen Research, and the Association for Unmanned Vehicle Systems reports that agricultural drones eventually could account for 80 percent of all drones. Agriculture might be the most promising use for drones, but the boom already has spread to many other sectors in Texas. Police on South Padre Island last year purchased a pair of drones with the capability of streaming high-definition video to better keep tabs on the more than 25,000 spring break revelers who occupy the beaches every March. A collaboration between Microsoft and Harris County health officials has brought smart mosquito traps to Houston. They are designed to catch, track and fight disease-carrying bloodsuckers using a plethora of data. 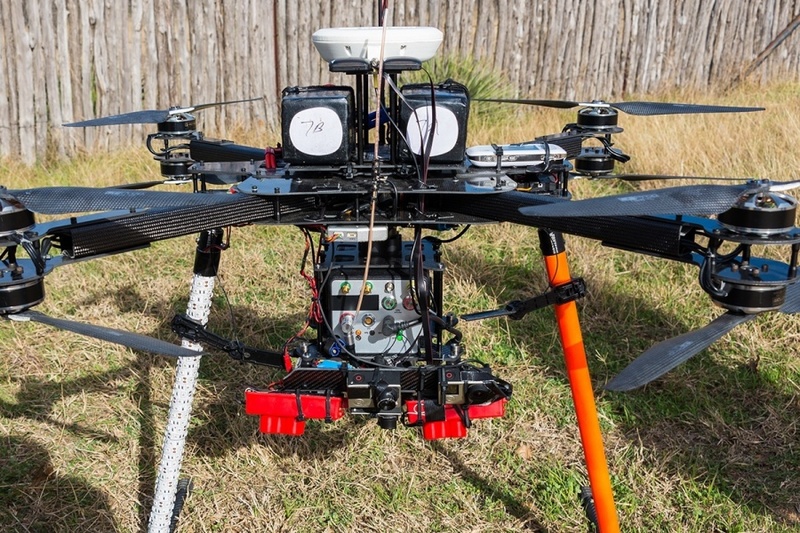 The project is investigating ways to incorporate drones to seek out dense mosquito clusters that pose the greatest risk and remotely deploy traps. 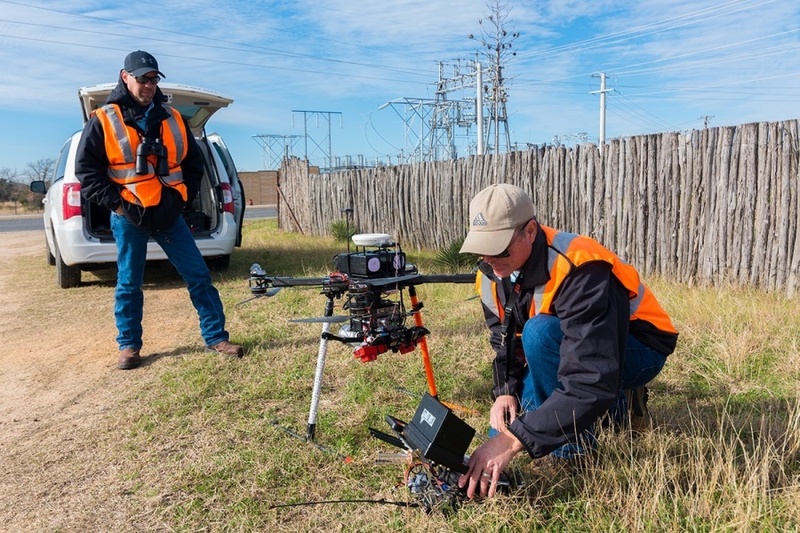 The Texas A&M University System launched a national certification program for drone pilots in 2016, and Austin­-based HUVRData, which uses drones to inspect wind farms, was one of the first companies to take advantage. LeTourneau University in Longview created a similar degree program. Scientists have begun using drones to monitor red tide algae blooms off the coast of South Texas. Previously, data was supplied by satellites at a premium price. Drone racing clubs bring together “rotorcross” enthusiasts who race their high-dollar devices through tight-turning obstacle courses in the air, either indoors or out, using cameras mounted on board and streaming video to the pilots. 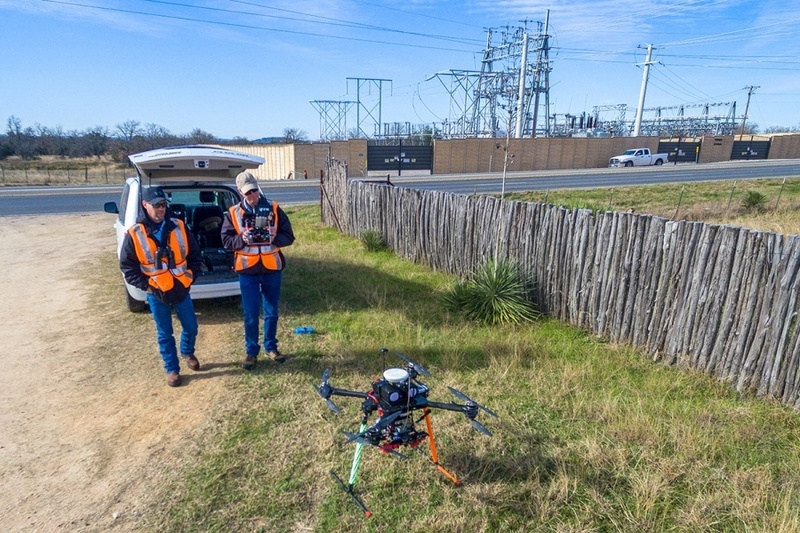 As Bitzko and Horton discovered, drones and electric utilities are a natural combination when it comes to managing miles and miles of power lines. 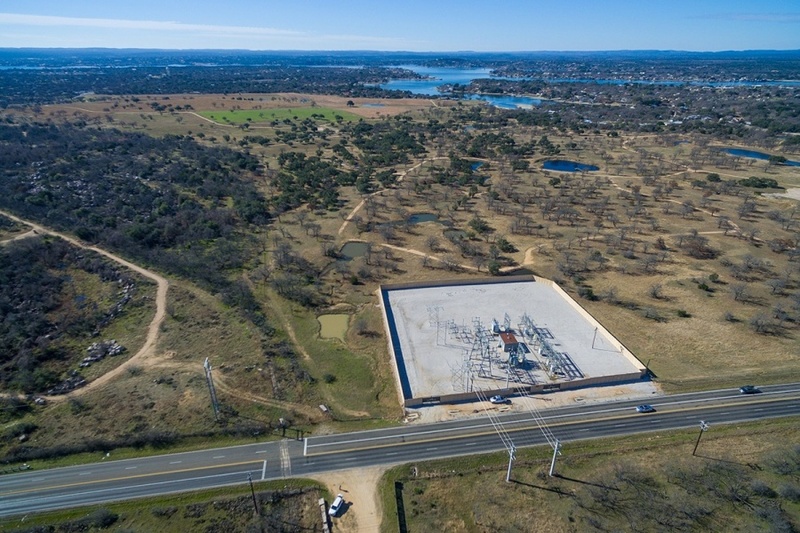 McCord Engineering was first on the scene in Texas in 2014 when the company began to investigate ways to make engineering more efficient by using drones. 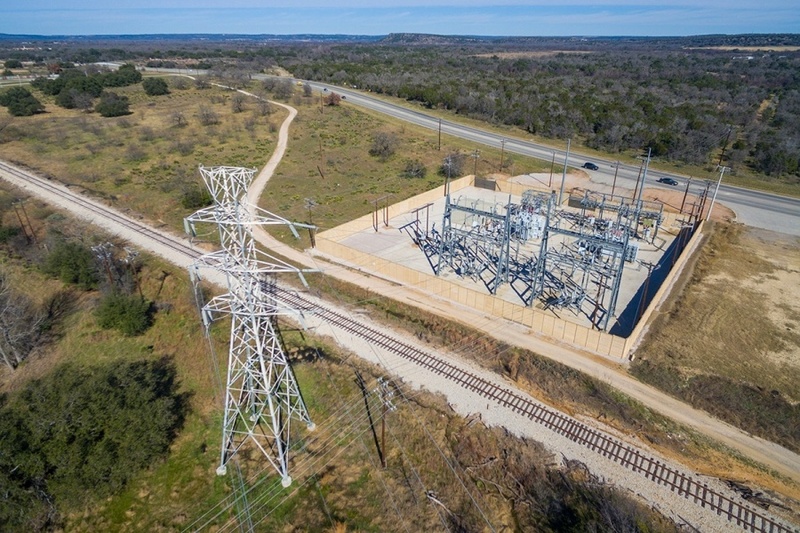 Since then, the company has developed its own fleet of heavy-duty drones armed with an array of sensors and cameras that electric utilities, including co-ops such as Mid-South Synergy and Bluebonnet and Pedernales, call on to conduct engineering surveys, monitor power lines and plan for the future. At the forefront are Light Detection and Ranging, or LiDAR, sensors that the company uses to collect a range of data from the air. “We can fly it down a power line, and basically it captures about a 500-foot-wide swath, 3-D scanning the power line and the areas around the power lines to look for any obstructions,” says Cy Terral, McCord’s field services manager. While the economic benefits seem clear, Landivar and Terral agree that operators must work to overcome drones’ public relations issues. “We try to avoid the name ‘drones’ because that’s what the defense department uses,” Landivar says, a sentiment that Terral echoes. He initially was worried by the reaction the buzzing behemoths might receive in the field. But after some 500 miles flown, Terral now feels reassured. “I figured there’s going to be some people that just say, ‘I don’t want that thing out here on my property,’ ” he says. Now, if we’re going to kill out a main feeder, people look at us like we’re crazy,” he says of the notion of cutting power to thousands of homes for linemen to work-uncommon nowadays.